By the 1980s, DHMC had formed the first hospital ethics committee in the United States. During this period prominent members of the committee were at the forefront of medical ethics education by publishing one of the first textbooks on the subject and providing seminars and conferences that drew members of the national medical community. The committee members believed so strongly in the importance of medical ethics they became active politically by supporting and promoting state legislation aimed at improving ethical patient care. DHMC’s clinical ethics program continued to lead throughout the remainder of the twentieth century. Our activities included helping other hospitals develop their own ethics programs, building networks of ethics committees, and creating a standard, universal code of conduct. Medical ethics is about decision making and doing the right thing; however, you will find that questions of this nature can often exist in a murky pool of doubt and disagreement. When you are deciding on a course of action in the context of healthcare, ethical issues are common. This truth underscores the importance of a medical ethics program. Opinions will differ. 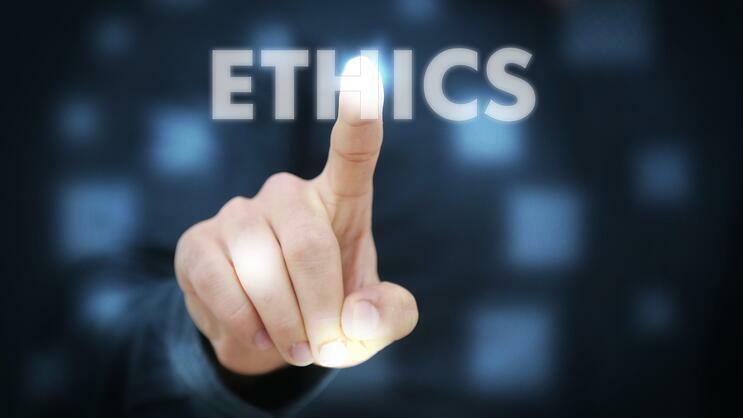 Colleagues, family members, and sometimes the law can make choosing the most ethical choice confusing, and in medicine, serious decisions often raise ethical questions. So how do you decide under the cloud of moral uncertainty? Is there a difference between ethics and morality? In 1994, the DHMC ethics committee experienced a change in leadership. Neurologist James L. Bernat, MD took the reins as chairperson. Dr. Bernat recognized the importance of three critical functions of the ethics committee and he used subcommittees to formalize their essential nature. The Ethics Consultation Subcommittee is available as part of the medical ethics program to help doctors clarify ethical issues. Doctors can request consultations the same way they ask for help from any specialist. The other two subcommittees formalized at that time were The Ethics Education Subcommittee and The Ethics Policy Subcommittee. Our professionals that practice at DHMC are not left to wander aimlessly in the moral wilderness. The Ethics Committee led by Dr. Bernat has focused on bringing everything together under the umbrella of the DHMC Clinical Ethics Program. Making ethical choices is sometimes difficult even with the best intentions. For example; how do you chose which patient receives the available transplant organ, or imagine you are responsible for allocating life-saving medications when the patients outnumber your resources. When doctors consider the questions that arise, they must often feel like there is no right answer. We have developed a program of education, policies, and access to help that allows our doctors to share the burden and increase the odds of choosing correctly even when the issue is complicated. At DHMC we know what it means to be ethical. Did you enjoy reading this article? Would you like to read more like it? If so, please consider subscribing to our blog.